Save time by automatically surveying routers, switches and WAN links. 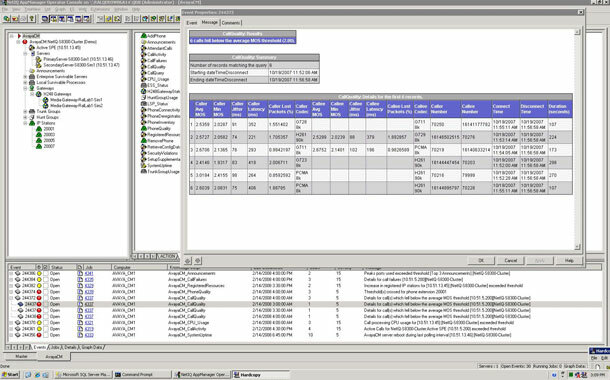 Report on information about device configuration compared to a set of rules you supply or based on vendor recommendations. Gain insight into potential needs for additional or upgraded devices before VoIP deployment by monitoring utilization statistics of current network devices and links. 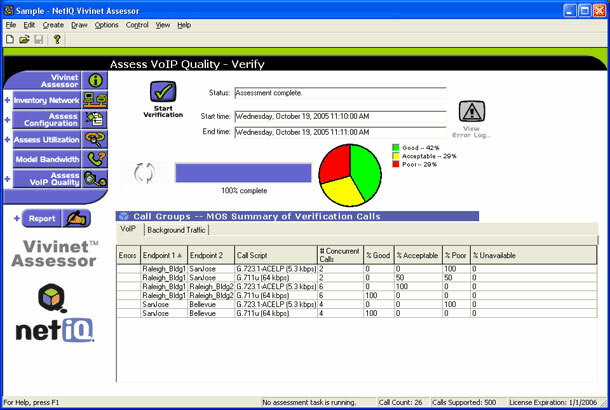 The report is easily customized and provides a straightforward executive summary that assesses the network's readiness for VoIP, along with detailed results by location for further analysis. You can see your IP phones, call servers, voice mail and contact center applications, as well as the underlying IT infrastructure, all from a single integrated console. 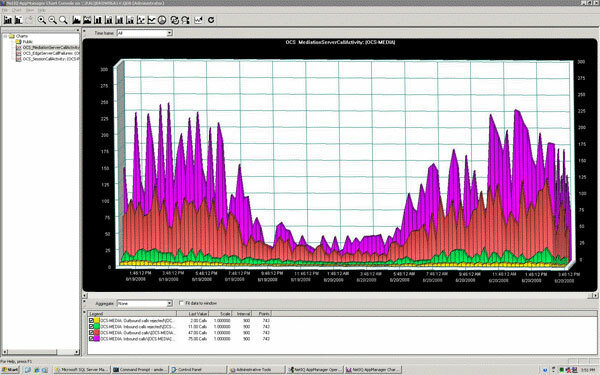 Monitor server health by tracking key metrics and understand your end users' quality of experience in real time. 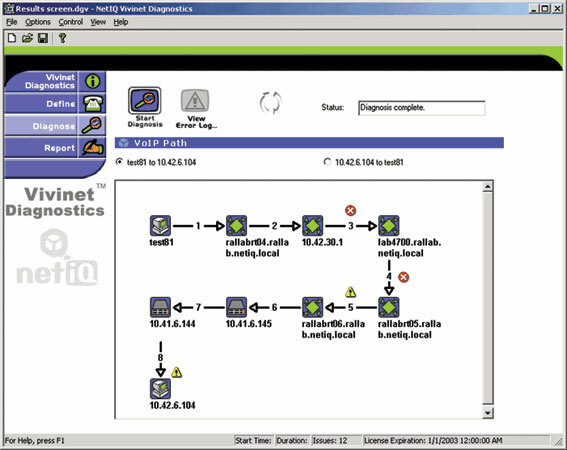 Set up event-driven actions-such as sending an email or a pager alert, generating an SNMP trap to a network manager or running a diagnostic or corrective fix program-to execute automatically when a specific event occurs. Provides an inventory of phones configured for your Cisco Unified Communications deployment. Resource usage is available down to the end-user level, while providing pre-packaged performance, voice traffic, and SLA reports. 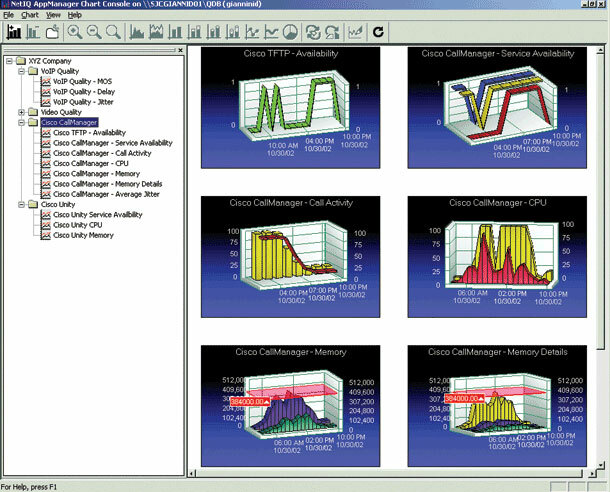 Performance data is stored for years to enable trend analysis and capacity planning.